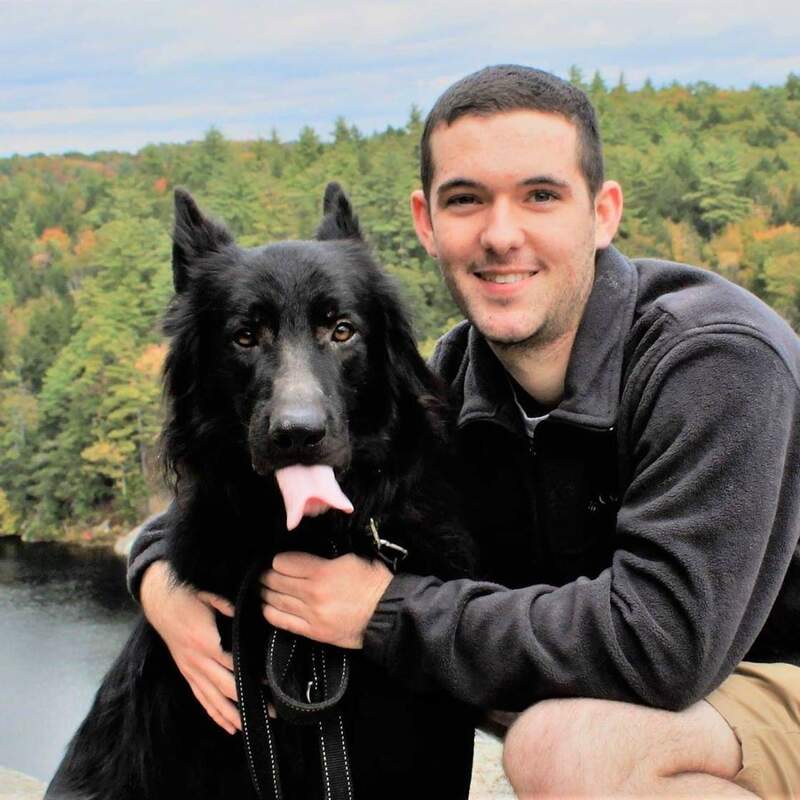 Colin McGonagle is a biomedical science: medical microbiology major from Nashua who is excited by the growth in his chosen field and the potential impacts new disoveries are having on public health, medicine, agriculture and environmental production. Following his first year at UNH, McGonagle joined the Air National Guard because, among other reasons, he liked the idea of being able to serve his country while being in school and thought it would be a great opportunity to enhance his leadership skills. Colin McGonagle: I am most proud of working in Dr. Cheryl Andam’s microbial ecology laboratory beginning spring 2017. Throughout my time in her lab, I have developed competence in various microbiology techniques and lab safety protocols. Currently, I am actively involved in isolating and culturing different species of Staphylococcus bacteria from a variety of animals and extracting their DNA. This work taught me to develop organizational skills and meticulous record keeping because of the hundreds of bacterial isolates that needed to be cultured. I have also learned independently and as part of a team. I have also learned new concepts in her lab (especially during lab meetings) that I would not have learned in my courses. I am fortunate to have received a SURF grant in summer 2018 to pursue this project, and I plan to continue to work in her lab until I graduate in May 2019. The research experience will give me an important competitive edge after I graduate. McGonagle: What motivates me is the rapid growth in knowledge in the scientific community and microbiology in particular. Being a part of a research lab on campus allows me to contribute to generating new information in this field. McGonagle: I actually started out as a Marine, Estuarine and Freshwater Biology major, but soon realized that I was more interested in the vast diversity and complexity of microbial ecosystems. I am amazed with the tremendous genetic diversity of microbes. Students have always been taught that bacteria are clonal and hence should have identical genetic make-up. I am now learning that bacteria, even within the same species, exhibit great genetic variation and ability to adapt to different environments. This has important implications in public health, medicine, agriculture and environmental production. McGonagle: I am fortunate to have received a scholarship through Veteran’s Affairs that will lead to a full-time job as a medical laboratory scientist after graduation. I plan to enroll in an online master’s in public health program that would make me eligible for a commission in the U.S. Air Force as a public health officer. McGonagle: I’ve taken advantage of some of the many opportunities UNH has to offer. I am an officer in Sigma Chi, Alpha Chi Sigma, and the American Society of Biochemistry and Molecular Biology, which has allowed me to gain valuable leadership experience necessary for becoming a commissioned officer in the military. I worked as an undergraduate teaching assistant in BIOL 412 laboratory class and assisted students in the laboratory and gained insight into the different ways that students learn new things. My experience in Dr. Andam’s laboratory has taught me how to become actively involved in real life research that has broad and important implications for public health. McGonagle: Go to your professor’s office hours. COLSA faculty members truly want to see everyone succeed, and by coming to their office hours it really shows that you are motivated to do well in their class. With BMS being a smaller major, many of the professors will remember you and may even be willing to help you out with applying for internships, jobs, or finding a lab on campus that fits your academic interests. McGonagle: One reason that I love UNH is the location. One day you can gather up a group of friends for a beach trip, and the next you can go for a hike up Mount Major. Adventures are a great way of taking a break from school work and appreciate the world around you.